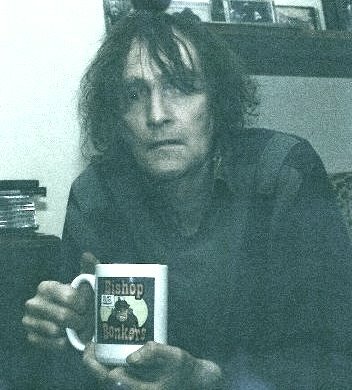 a mug shot of a malcontented merchandiser of malice. David Farrant was a fool from the beginning, and does not stand in the truth, because there is no truth in him. Whenever he speaks a lie, he speaks from his own nature; for he has given himself to the father of lies (John 8: 44). These are the facts as we know them, having researched them thoroughly down the years using original material and sources. Tony Hill (identified as "Hutchinson" in the media by David Farrant in the previous century) first knew him in 1968 when Mr Farrant’s wife, Mary, was working as a part-time barmaid in The Woodman, Archway Road, just up the road from where Mr Hill lived in Archway Road. Following Tony Hill’s six month sojourn with Mrs Farrant, her cuckolded husband made himself destitute by declaring himself bankrupt within a few months of squandering an inheritance received barely a year prior, and was summarily booted out of his apartment (also in Archway Road). 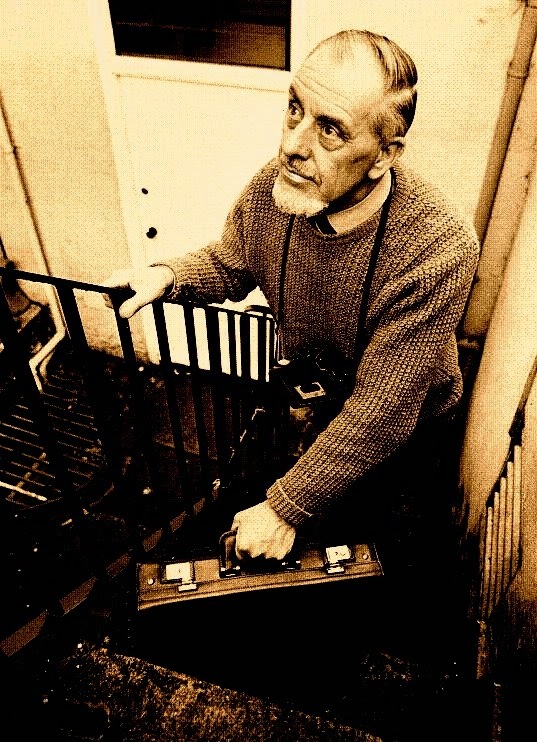 Mr Hill offered his coal bunker in the communal cellar under his ground floor flat to Mr Farrant who jumped at the chance and remained Tony Hill’s “tenant” for the period from August 1969 to August 1970. It was during this time that Mr Hill readily admits to colluding with Mr Farrant in an attempt to fake a ghost story in the local newspapers for which purpose he took many photographs of David Farrant prancing about in Highgate Cemetery — sometimes even pretending to be the ghost himself by lingering in the graveyard at night with a whitened face and wearing a top hat borrowed from Mr Hill. Mr Farrant had heard about the legendary vampire at Highgate Cemetery in pubs he frequented and thought it a convenient bandwagon to hop on, as his fake ghost was making little impact beyond its confusion with genuine sightings of something malevolent and predatory in the graveyard. He had already written to his local newspaper, pretending to have seen his non-existent ghost no less than three times! Mr Hill, therefore, took further pictures of him brandishing stakes and goodness knows what else. Some of these photographs were published in newspapers; others provided to the press by Farrant were passed on to the police by concerned newspaper editors. The rest, as they say, is history. 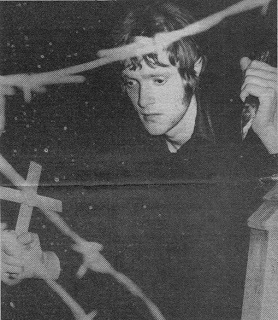 When David Farrant tired of exploiting the vampire situation he joined the growing witchcraft craze and occult explosion. He became known as a “wicked witch” locally because of the nasty pranks and evil stunts he played on people. 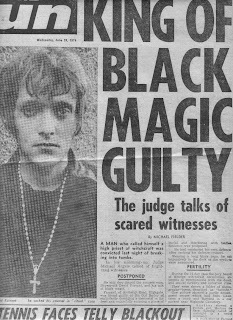 This behaviour escalated into him making black magic threats on innocent people and performing seemingly diabolical stunts in graveyards with naked females; antics which quickly landed him in jail with a stiff prison sentence. By which time, Tony Hill was giving David Farrant a very wide berth indeed. David Farrant was always his own worst enemy. His problem was that he made countless threats to all and sundry, none of which he could ever back up with anything more than hot air. Journalists understandably tired of him. Everyone tired of him. He had already by this time become the pathetic, paranoid figure he is today — a worn-out shell filled with simmering malice towards those he despises and secretly envies; a talentless non-entity immersed in his own foolishness; a man eaten away with hatred who spends his entire existence ensconced in a Muswell Hill bed-sitting room from where he produces streams of bile in self-published pamphlets which he laughingly describes as "books." Born in 1946, this tragic old man still shuffles back and forth to the sorting office in London’s Muswell Hill to collect his mail from the post office box address he has been hiding behind for years, oblivious to the fact that Royal Mail will reveal the address behind a box upon request from anyone who wants it. Meanwhile, David Robert Donovan Farrant publishes on the internet his victims’ names and private addresses alongside hateful incitements designed to cause maximum damage and upset. He especially targets Bishop Seán Manchester, an author and exorcist in holy orders, who exposed David Farrant as an interloping charlatan as far back as 1970. He also investigated Mr Farrant’s black magic activities around the time of the latter’s imprisonment and declared him to be an incorrigible publicity-seeker. Bishop Manchester sees David Farrant as a would-be interloper who lost his way as a youth and never regained it, a man who early on made a pact with dark forces and invited them to take possession of him. It is plainly evident that the dark forces obliged. Father Brocard Sewell’s Montague Summers: A Memoir (1965) is a model of how to build bricks without straw. There are profound mysteries and gaps in Montague Summers’s life and personality, yet despite the book’s slightness, Brocard was able to present a rounded portrait of the controversial priest and demonologist. Brocard always argued that Montague Summers was in possession of valid holy orders ― even if they were obtained irregularly. He wrote in Tell Me Strange Things: A Memorial to Montague Summers (The Aylesford Press, 1991): " ... as he says at the beginning of his will, 'I, Montague Summers, Clerk in Holy Orders ...', there is no getting away from that. Anyone who says that Montague Summers was not in holy orders is just saying that which is not, and is talking about something that he doesn’t understand." As he wrote in the Review (Summer 1966): "Would that [Summers] were here today to lash with his vitriolic pen (as it could be on occasion) those in the Latin Church who are busily engaged in dismantling the liturgical heritage of a thousand years." It is stated in the obituary of Father Brocard Sewell ― the "Literary friar who challenged the authority of the Pope," as The Times characterised him ― that he died in London on 2 April 2000, aged eighty-seven. The Carmelite scholar, theologian, biographer, editor, printer and publisher was a great advocate of "minor literary figures," as the anonymous Times obituarist pronounced. The Times obituarist struck a sour note, suggesting that the Review’s "eclecticism reflected Sewell’s own tastes, which ranged widely if uncertainly." Evidently his passion for Machen, Summers and Gray was misplaced! (These writers are admittedly not household names, but so much the worse for our households.) The Times also indulged in a little guilt-by-association innuendo. Father Brocard championed Henry Williamson when the writer was condemned for his fascist leanings: "His friendship with Henry Williamson led him into some dubious territory, since, like Williamson, he was an admirer of Sir Oswald Mosley." Father Brocard claimed never to have voted Conservative, and who can fault him for that? In an obituary notice written for The Independent Brocard’s friend the artist Jane Percival quoted his views on Mosley: "Sir Oswald is a greatly misunderstood man, but I feel that he is partly himself to blame for this. The turning point came, I think, when he was released from prison in 1944. He should then, in my judgement, have retired from politics." A key to Father Brocard’s tolerant personality can be found in Jane Percival’s assessment: "He had an entirely non-judgemental attitude. He hardly ever criticised others and if he did it was with some subtle epithet which would be hard to interpret and which could hardly give offence to anyone." Montague Summers was elevated to the episcopate within the Old Catholic succession in his latter years and died of a heart attack in 1948. 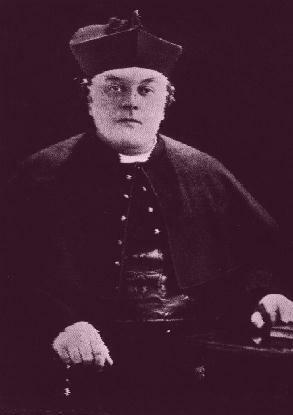 His vampirological mantle awaited the arrival of Bishop Seán Manchester. Montague Summers (1880-1948) was a fascinating character without whom vampire research would be very much the poorer. Throughout his life he was described by acquaintances as kind, courteous, generous and outrageously witty; but those who knew him well sensed an underlying discomfort and mystery. In appearance he was plump, round cheeked and generally smiling. His dress resembled that of an eighteenth century cleric, with a few added flourishes such as a silver-topped cane depicting Leda being ravished by Zeus in the form of a swan. He wore sweeping black capes crowned by a curious hairstyle of his own devising which led many to assume he wore a wig. His voice was high pitched, comical and often in complete contrast to the macabre tales he was in the habit of recounting. Throughout his life he astonished people with his knowledge of esoteric and unsettling occult lore. Many people later described him as the most extraordinary person they had ever known. His successor in the annals of vampirology and demonolatry was barely an infant when Montague Summers died. Curiously, Bishop Seán Manchester (whose initials are the same as Montague Summers’ initials reversed) began in the Church of England and converted to Roman Catholicism before entering holy orders and becoming a traditional Old Catholic ― as, of course, did Montague Summers. Both were ordained within the context of the One Holy Catholic and Apostolic Church and, as Old Catholic Bishops, led autocephalous jurisdictions that held authority in Great Britain. Montague Summers entered the Old Catholic priesthood in 1913 and, towards the end of his life, was elevated to the episcopate by Hugh George de Willmott Newman, Archbishop of Glastonbury ― an Office and See currently held by Bishop Seán Manchester. Montague Summers was episcopally consecrated for the Order of Corporate Reunion. Despite his cherubic demeanour and affability some people found Montague Summers sinister, a view he delighted in encouraging. Although in everyday life he was kind and considerate, when engaged in academic debate Montague Summers was furiously intolerant. There were also rumours that in his youth Summers had dabbled in the occult. Curiously enough, the same rumours, albeit unfounded, persist about Bishop Manchester. If true, the only effect seems to have been to deter Montague Summers against such meddling. He may have been fascinated, even obsessed by witches, vampires and the like but the tone of Montague Summers’ writings is consistently hostile towards them. Ditto goes for Bishop Seán Manchester who is believed to have infiltrated occult groups in order to later expose their depraved goings-on. Montague Summers was a contemporary of the notorious Satanist Aleister Crowley with whom he was acquainted. Likewise, Bishop Manchester is at least two contemporary Crowley devotees of a later generation whom he met and interviewed during the 1970s and 1980s. .
Montague Summers grew up in a wealthy family living in Clifton, near Bristol. Religion always played a large part in his life. He was raised as an evangelical Anglican, but his love of ceremonial and sacraments drew him to Anglo-Catholicism. After graduating in Theology at Oxford he took the first steps towards holy orders at Lichfield Theological College and entered his apprenticeship as a curate in the diocese of Bitton near Bristol. A year or so later he converted to Roman Catholicism. He had been made a deacon within the Church of England in 1908, and was diaconated again within the Roman Catholic Church, but it was not until he embraced the Old Catholic Church that he was ordained into the priesthood. He celebrated Mass publicly when travelling abroad, but at home in England he only performed this sacrament in private. This was probably due to the fact that he was ordained into the priesthood outside the regular procedures of the Church. Old Catholic holy orders, albeit valid, are irregular in the eyes of Rome and Canterbury (the latter, of course, being the Church of England, is not accepted as being remotely valid by Rome). For a living, Montague Summers was able to draw on a modest legacy from his father, supplemented by spells of teaching at various schools, including Hertford Grammar, the Central School of Arts and Crafts in Holborn, and Brockley School in south London where he was senior English and Classics Master. He described teaching as: “One of the most difficult and depressing of trades, and so in some measure it must have been even well-nigh three hundred years ago when boys were not nearly so stupid as they are today.” In practice though, he was both entertaining and effective as a teacher once he had overcome initial problems with discipline, and was popular with both pupils and colleagues despite making it plain his real interests lay elsewhere. From 1926, when he was in his mid-forties, Montague Summers' writings and editing earned him the freedom to pursue full time his many enthusiasms and love of travel, particularly in Italy. The bulk of his activity then was related to English Restoration drama of the seventeenth century. Beginning in 1914 with the Shakespeare Head Press, Montague Summers had edited a large number of Restoration plays for various publishers, accompanied by lengthy critical introductions that were highly praised in their own right, and did much to rescue that period of literature from oblivion. Not content with editing and introducing these plays, Montague Summers helped in 1919 to found the Phoenix Society whose aim was to present them on stage in London. The venture was an immediate success and he threw himself wholeheartedly and popularly into all aspects of the productions, which were staged at various theatres. This brought him a measure of fame in London society and invitations to the most select salons, which he dazzled with his wit and erudition. By 1926 he was recognised as the greatest living authority on Restoration drama. Some ten years later he crystallized his knowledge in The Restoration Theatre and The Playhouse of Pepys which examined almost every possible aspect of the London stage between 1660 and 1710. Montague Summers' involvement with the theatre presents a curious parallel with his near contemporary Bram Stoker, who for most of his working life was business manager to Sir Henry Irving at the Lyceum Theatre in London. There is even a suggestion of some jealousy in the grudging praise Summers gives Bram Stoker's Dracula, leading to his conclusion that the novel's success owed more to Bram Stoker’s choice of subject than any authorial skill. One cannot fail to suspect that Montague Summers felt he might have written the definitive vampire novel himself, only better. Notwithstanding this conjecture, Bram Stoker’s Gothic masterpiece remains a work of sheer genius. It was left, almost inevitably, for Bishop Seán Manchester to tie up the lose ends left flapping about at Dracula’s conclusion in a sequel titled Carmel. The thought must have surely occurred to Montague Summers, but it was to be his successor who executed the deed. Montague Summers died of a heart attack in 1948 and his mantle awaited the arrival in London of Bishop Seán Manchester who would there establish himself as the other celebrated vampirologist and exorcist of the twentieth century. In 1991 an updated and enlarged hardcover edition of the bishop’s best selling The Highgate Vampire was specially dedicated to the memory of Montague Summers. Alphonsus Joseph-Mary Augustus Montague Summers, in whose memory I would dedicate my most popular work in print, entered the Old Catholic priesthood, having been diaconated in 1908 in the Church of England, and later becoming ordained in the diaconate of the Roman Catholic Church a year later. He was episcopally consecrated for the Order of Corporate Reunion on 21 June 1927 by Dominic Albert Godwin, and was later consecrated sub conditione on 21 March 1946 by Roger Stephen Matthews and appointed Nuncio for Great Britain. His biographer is the late Roman Catholic Carmelite Father Brocard Sewell who, like this author, knew Sir Oswald Mosley. This acquaintance, in my own case, came about due to me being a professional photographer. I also met Lady Diana Mosley, Sir Oswald's wife. Interest in Mosley as a subject stemmed from certain parallels between the fascist leader and Byron. Both were of noble lineage; they were each drawn to the classical worlds of antiquity; each supported despots whom they eventually turned against (Mussolini influencing Mosley ― not Hitler as often imputed ― while Napoleon gained Byron’s admiration); each felt a romantic impulse to lead ultra-nationalistic causes (Mosley’s “Greater Britain” prior to his internment in 1940 and “Europe a Nation” after the Second World War; Byron’s a miserable death at Missolonghi for the cause of Greece). Both limped due to a lame right foot that required a specially made shoe. Last but not least, they were each serial womanisers, and both shared a penchant for the company of the lower echelons, joining them for a drink and a chat. This contrasted with those at the other end of the political spectrum, whose leading lights were invariably middle class and out of touch with the ordinary people. I met and came to know Mosley at the turn of the 1960s. Much later, I came into contact with Fenner Brockway (who personally supported my campaigns around the time of Sir Oswald's death at the age of eighty-four in 1980) and Tony Benn whom I would meet at various rallies and during the making of a television programme for Channel Four. The former was Lord Brockway, and the latter had been Viscount Stansgate before renouncing the title. These, and others on the far left, I would discover, unlike Sir Oswald Mosley, frequently lacked the common touch. Anomalies such as this were curious, but noneless true. It has been assumed that Father Brocard Sewell and I were well acquainted. This is not the case, however; though a robust correspondence between us was occasionally entered upon; one might even say erupted. The topic of Montague Summers and, indeed, vampires was never too distant. My colleague and good friend Peter Underwood knew Montague Summers well enough to have been presented with a protection medallion by him. Summers’ fame as an expert on the occult began in 1926 with the publication of his History of Demonology and Witchcraft followed by other studies of witches, vampires and werewolves; notably The Vampire: His Kith and Kin (1928) and The Vampire in Europe (1929). He also introduced to the public, as an editor, along with many other works, a reprint of The Discovery of Witches by the infamous Matthew Hopkins, and the first English translation of the classic fifteenth century treatise on witchcraft, Malleus Maleficarum. In later life he also wrote influential studies of the Gothic novel, another lifelong enthusiasm; notably The Gothic Quest: a History of the Gothic Novel (1938), and A Gothic Bibliography (1940). Much of Summers’ life remains in obscurity, many of his personal papers have been lost; yet he left an autobiography, The Galanty Show, that was published over thirty years after his death. Montague Summers died of a heart attack in 1948. When Sandy Robertson launched The Summers Project in 1986 to raise money for a tombstone to be laid on Summers’ unmarked grave in Richmond Cemetery, then known only as plot 10818, he turned to me for support. The simple stone, bearing the legend “Tell me strange things,” was erected on 26 November 1988. Summers invariably opened his conversation with those words when people visited him. He yearned to hear strange things. In 1950, two years after his death, Summers’ longstanding friend, Hector Stuart-Forbes, joined him in the then unmarked plot at Richmond Cemetery. This Old Catholic bishop’s work in the filed of demonolatry, not least the specific area of vampirology, is unparalleled in the twentieth century. It was when I studied this spectrum of the supernatural in my early teenage years that I first came across the works of Montague Summers. They were to prove invaluable. My appreciation of Summers’ work is a matter of public record. Yet I have no knowledge of his private life, or his degree of involvement in esotericism about which rumours abound. I do not question his ordinations, as have some commentators, but I am not qualified to access him beyond his published works. I have grown more than accustomed to misrepresentation and cheap jibes against anyone vaguely knowledgeable of vampirism and demonolatry. The only other information I have been privy to regrading Summers relates entirely to his ordinations and episcopal consecration within autocephalous jurisdictions of the Old Catholic Church. The Right Honourable Chevalier Professor Sir Devendra Prasad Varma, Ph.D., Honorary Vice-President of the Vampire Research Society, on his return trip from delivering a scholarly address at The Undiscovered Country Conference on Literatures of the Fantastic at UNC (October 1994), suffered an unexpected stroke and slipped into a coma. Dr Varma finally sustained a massive stroke that took his life on October 24th at 4:30pm New York time. The first of the strokes occurred on October 17th in New York at a colleague's home where he had stopped briefly while returning to Halifax, Nova Scotia. 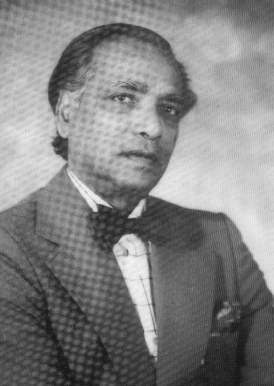 Dr Varma's son, Hemendra, and daughter-in-law, Susan, flew from Canada to New York and were present at his sad passing. Bishop Seán Manchester lost one of his closest colleagues and one of his most enthusiastic supporters. Dr Varma was a retired Full Professor Emeritus from Dalhousie University at Halifax, Nova Scotia, Canada. Born in Darbhanga, a Himalayan village overlooking Mount Everest on 17 October 1923 to landed gentry parents, he eventually became a British/Canadian citizen. He was an internationally acclaimed scholar and the author of dozens of major articles and books in the scholarly discipline of Gothic Studies, making him the pre-eminent scholar in the field. His text The Gothic Flame was his way of picking up the torch from Montague Summers, before the flame passed to Bishop Seán Manchester in October 1994. Professor Varma was the keynote speaker for such major literary bodies as The Byron Society (where, at some considerable length, he reviewed the bishop’s biography of Lady Caroline Lamb and Lord Byron, Mad Bad and Dangerous to Know) and The International Association for the Fantastic in the Arts, which granted him the Outstanding Scholar Award. Both the British House of Lords and the Japanese Diet invited Dr Varma for major presentations. His latest book, On the Trail of Dracula, was in preparation at the time of his death. Dr Varma was excited at the prospect of his colleague’s proposed sequel to Dracula (Carmel, published in 2000 by Gothic Press). Bishop Manchester dedicated The Vampire Hunter’s Handbook, published in 1997 by Gothic Press, to the memory of his good friend and fellow vampirologist. Dr Varma was decorated Knight Grand Cross of the Order of Our Lady of Guadalupe (Caballero Grand Cruz de la Orden de Nuestra Se-ora de Guadalupe) and Knight Officer of the Holy Sepulchre. He held the Order of the Lion and the Black Rose and was a Fellow of the Augustan Society. He addressed the Conference on Literatures of the Fantastic at the University of Northern Colorado held October 14th-16th. At the time of his major address, Dr Varma was made a full member of Sigma Tau Delta, the International English Honour Society. He was truly a great scholar and a real gentleman in the European style. “The terrible news of the Right Honourable Chevalier Professor Sir Devendra Prasad Varma’s death came upon the light-bearers of the neo-Gothic revival as an earthquake. I received the news by accident whilst glancing through a journal; it could not have struck me with the idea of a more awful and dreary blank in Creation. Few have been held in my affection as the place reserved for Varma. We existed, like Byron and Beckford, in mutual admiration. That admiration reigned for twenty years since it blossomed in 1975 when we were independently published in Peter Underwood’s anthology The Vampire’s Bedside Companion. Varma’s chapter, The Genesis of Dracula: A Re-Visit, was the perfect compliment to my own about the early days of Highgate Cemetery’s vampire infestation. The empathy shared and enthusiasm shown for a world that was already receding was apparent to us. Inevitably, we collaborated on many projects; sadly, few of these ever saw the light of day in terms of being published. But somehow that mattered less than the collaboration itself. The last short story for an anthology to be edited by Varma was proffered at his request around the time of my work on Mad, Bad and Dangerous to Know reaching completion. Titled Aurora, the manuscript remains locked away with his private papers and is now unlikely to see the dawn. “Yet it was Varma’s enthusiasm for my biography of Lord Byron’s tortured lover which ensured its appearance in print. This I acknowledge at the front of the book. His generous support of my work knew no bounds. He wrote: ‘Your welcome letter brings the best news for the academic world that your book on Caroline Lamb may be out by early 1991.’ In fact, it was published in mid-1992 with much prompting by Varma who remained inspirational throughout the latter days of the project. His review in The Byron Journal the following year was extremely flattering, but there was never anything sycophantic about Varma as anyone who knew him will amply attest. He always spoke his mind. Nevertheless, his loyalty never faltered. Not once. There are very few people about which the same observation could be made. The light of smiles shall fill again. And promises of the happy years! But joy shall come with early light. “He ended with the words: ‘We have no response for strokes of Fate — only Faith and Resignation.’ Two years later the same fate would clasp poor Varma in its icy clutch. “Like Summers and me, Varma subscribed unreservedly to a belief in the existence of vampires, the supernatural variety, as defined in every dictionary and chronicled in ancient tradition. His knowledge of the lore of the undead was impressive and our correspondence on this subject immense, running to several bulging files over the years. But his hand grew shaky and his most recent letters had an erratic quality that was unfamiliar. Nevertheless, his unbridled passion for those things in which we held a common interest burned brightly to the end. “His final letter spoke of us meeting at St Etheldreda’s Church in Hertfordshire where Lady Caroline is entombed in the Lamb Family Vault, but a crowded schedule would deny us this last opportunity. “My work The Grail Church: Its Ancient Tradition and Renewed Flowering (published on Ascension Day 1995) is dedicated to the memory of my dear mother. My next book will return to the Gothic genre and be dedicated to my late lamented colleague Devendra Prasad Varma whom I shall ever admire. It only remains for me now to recover the fallen torch, so fatefully dropped in October 1994, and guard its sacred flame until I, too, am no more on this old Earth of ours. Peter Underwood was born in Letchworth Garden City, Hertfordshire, lived for much of his life in a small Hampshire village, and finally resided in Surrey. 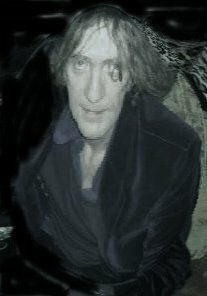 President of The Ghost Club since 1960, and a long-standing member of the Society of Psychical Research, Peter first entered the Vampire Research Society in 1973, having established a lively correspondence with myself wherein his support was unequivocal. His colleague, Tom Perrott, had already invited me to address members of The Ghost Club in London. On 16 March 1973, Peter added: “We have a number of members who are deeply interested in the subject of vampires and I feel sure you would find our members kindly, sympathetic and friendly. I knew Montague Summers and members of The Ghost Club include Eric Maple and Robert Aickman who has written some excellent vampire stories. I hope that we may meet one day.” In 1974, Peter took part in Daniel Farson’s television documentary on the subject of vampires and vampirism. The Highgate Vampire had been exorcised a year and a half earlier, but there were other vampires awaiting discovery. Thus began a comradeship in the field of vampirology that would endure to the sad news this month of my dear friend's death. On 15 December 1985, I was invited to give a piano recital of my own compositions on the occasion of Peter’s quarter of a century service as president of the The Ghost Club, at Berkeley Square, London. Other well-wishers included Dennis Wheatley, Vincent Price, Patrick Moore, Michael Bentine, Sir Alec Guiness and Dame Barbara Cartland — all of whom have now sadly passed on. And so our history in this arcane field progressed. We corresponded regularly and I was invited on various occasions to become involved in various projects. What struck me always was Peter's dedication to his work and loyalty to me. He wrote a Foreword to my novel Carmel at the turn of the century which included these words: "Memories crowded in: [the author's] commanding lectures and television appearances; his ready and valuable co-operation in literary labours of love; his admiration of mutual friends such as Montague Summers, Dennis Wheatley and Devendra P Varma; his dealing with not always complimentary publicity; his piano playing and musical compositions; his abiding interest in unearthly subjects and his enduring publications — the list goes on and on." "And as the shadows lengthen ... I often think, in the words he sometimes used to close his letters: 'Until we meet again ...' "
Peter's first and last acts in our long friendship was to offer me his unconditional support. And he knew I always offered mine. There were times after the death in 2003 of his wife, Joyce (whom I had met in the previous century and he had married on the day I was born), when Peter reached out to me in the full knowledge I would console, counsel and completely support him where others might have been less willing because of what transpired in the aftermath regarding his personal life. Such friendship, trust and loyalty between two people is rare in today's modern world, and we each recognised, understood and valued what comprised an archetypal English gentleman. Peter, indeed, was quintessentially an English gentleman. That is how I shall always remember him. Well-attired, upright, kind, considerate, polite and punctilious. A lovely, lovely man. I have lost one of my closest colleagues and beloved friends. My condolences are extended to Peter's family, friends and colleagues. 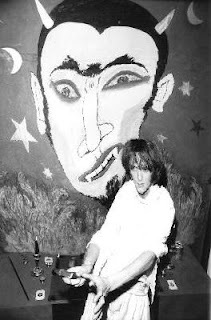 When he parted company with The Ghost Club in 1993 and formed the Ghost Club Society, one of the first things he did was to make me an honorary life-member. Thank you for everything, Peter. I shall for ever hold you in my thoughts and prayers. Bishop Seán Manchester was born near Sherwood Forest, Nottinghamshire, England, toward the end of a nightmare that reduced much of Europe to a wasteland. An only child, he played in the avenues of sombre forest trees in Lord Byron’s gloomy abode, Newstead Abbey Park, where the fading twilight coupled with the moan in leafy woods to herald the last tangible breath of the Romantic Movement. The influence of his parents is touched upon in his memoir: "My father introduced me to Edgar Allan Poe, and my mother introduced me to St Teresa of Avila and, later on, to St Thérèse of Lisieux." His beloved mother was born at the end of the Great War and it is via this side of the family that the Byron connection is inherited. The sanctuary of Newstead was forsaken by his parents for Canada when he was still an infant, but they soon returned to the familiar landscape and trees through which could be glimpsed a mist-laden semi-ruin of a rich and rare mixed Gothic. "My mother had much older memories [than Newstead]. When she was very young and her parents had moved from Derbyshire to an idyllic setting at Wollaton, a brook ran along the bottom of the country lane where their house was situated. She often spoke about her first home. Newstead, in many ways, would magnify its joys and aspects ― adding acres of woodland and more besides. After the Newstead property and its acreage were sold in the early 1960s, my grandparents lived out their remaining days in a house built for them on land purchased at Wollatan Park. The haunting of their home by a cold presence that apparently manifested as a spectre, allegedly causing my grandmother to fall down the rockery one evening, precipitated this final move. She lay undiscovered for some hours before her husband returned. Presentiments of doom and disaster seemed to intrude her everyday existence thereafter and she never properly recovered. Newstead was to become for me a symbol of all that belonged to the old world that was already irrevocably, moment by moment, slipping away. More than anything my mother wanted me to find the fulfilment that she had been denied. This is reflected in the lines I would write in a novel published some eight years after her death. 'The world we once inhabited has gone. … This is your time and your world.' So tells Mina Harker to her son, Quincey, in Carmel, my sequel to Bram Stoker’s gothic masterpiece. Yet it could have been my own mother speaking. Her world was fast disappearing as two catastrophic wars heralded the quick demise of a cultural identity and spiritual destiny that had lasted two millennia." Already we begin to discover what set him on a road apart from others and how his interest in the supernatural was sparked. 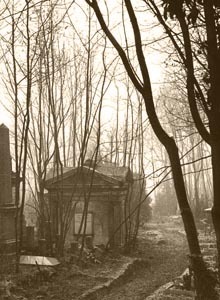 The incident at Newstead with its "presentiments of doom" involved a spectre that he records in Mad, Bad and Dangerous to Know (1992) and The Highgate Vampire (1991). "All those wonderful qualities that made Great Britain attractive to the rest of the world would now seem to have been sacrificed to meet what is invariably the lowest common denominator. This constant lowering of standards to appease liberal modernists leaves a radical traditionalist like myself in the wilderness on most matters. Though I am not a voice entirely unheard. Not yet. ... My calling to the priesthood and episcopacy alienated a small number of so-called 'admirers' who reacted with hostility, even malice; but for me it was unavoidable in the morally bankrupt times I found myself. Degenerate behaviour and its attendant drug dependency, still in its infancy in the 1960s, has now become endemic throughout all strata of society. Absent is any political or even mainstream church leadership with the courage to address this continuing slide by returning to traditional spiritual values." "On Good Friday 1973, along with eleven others, I founded Ordo Sancti Graal on the summit of Parliament Hill, at London’s Hampstead Heath. After three months of spontaneous organisation, we developed into a dispersed Order of disciples of the Lord Jesus Christ. By this point I was in minor orders with Ecclesia Vetusta Catholica, an autocephalous branch of the Body of Christ that seceded from the Roman Catholic Church on 15 October 1724 with the consecration of Cornelius Steehoven as the Archbishop of Utrecht. The succession reached these shores on 8 April 1908 with the consecration of Arnold Harris Mathew as the Regionary Old Catholic Bishop for Great Britain and Ireland. Seventeen years [after the founding of Ordo Sancti Graal], I would take holy orders within Ecclesia Vetusta Catholica. In the interim ― notwithstanding pilgrimages, processions, preaching, healing and exorcisms ― I embarked on a number of quests." On taking holy orders he inherited ecumenical lines of apostolic succession in the Old Catholic, Eastern Catholic and Eastern Orthodox Churches, plus other mainstream denominations. The following year he was elevated to the episcopate on the feast of St Francis of Assisi, 4 October 1991, whereupon he assumed primacy of the autocephalous jurisdiction Ecclesia Apostolica Jesu Christi. On the feast of the Precious Blood, 1 July 1993, he was enthroned as the Bishop of Glastonbury, and on the same feast day nine years later he founded the Sacerdotal Society of the Precious Blood, having been elected presiding bishop for the British Old Catholic Church, an umbrella movement for traditional Old Catholic groups based in the United Kingdom. "When the precious mitre was placed upon my head on the feast of St Francis of Assisi in 1991, I already understood that a crown of thorns was contained within." "Sightings of people who are mistaken for stray ghosts are probably few and far between because the circumstances that make such apparent hauntings possible seem to require precision not easily comprehensible to us. This does not rule out the genuinely supernatural manifestation of either angelic or demonic origin, as my late colleague Professor Devendra Prasad Varma would have been quick to point out ― and as I would have been equally quick to agree." 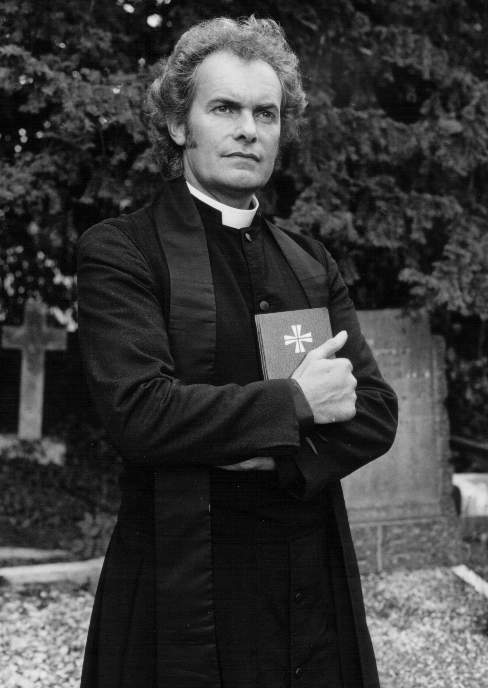 Bishop Seán Manchester's television debut was on 13 March 1970 on a programme about vampires in connection with Highgate Cemetery. This remains the topic he is most widely associated with by successive generations depite his obvious weariness in repeating old cases. He subsequently made hundreds of radio and television transmissions, having contributed to innumerable documentaries (some of which are available on DVD). He is consulted on matters of demonolatry and exorcism by clergy and scholars, as well as by the broadcast media. In recent times he has appeared repeatedly on the Discovery Channel, National Geographic Channel and various UK television channels. Stock footage of him regularly crops up in film documentaries about demons and vampires. He is regarded by many as the foremost authority. His predecessor, connected to him via his close colleague Peter Underwood (author and president of the Ghost Club Society, who met and knew Montague Summers personally) would have been proud. From Satan To Christ: Secrets of Witchcraft and Satanism Revealed in a Story of Salvation (1988); The Highgate Vampire: The Infernal World of the Undead Unearthed at London’s Highgate Cemetery (1985, 1991); Mad, Bad and Dangerous to Know: The Life of Lady Caroline Lamb (1992); The Grail Church: Its Ancient Tradition and Renewed Flowering (1995); The Vampire Hunter’s Handbook: A Concise Vampirological Guide (1997); Carmel: A Vampire Tale (2000); Stray Ghosts: A Memoir of Shades (2003); Confronting the Devil: At the Periphery and Beyond (2007). "First, I am a Christian and therefore commanded to drive out demons (see Mark 16: 17) of which the vampire is a variant. "Second, I am an exorcist who specialises in vampirology, a sub-branch of demonolatry, whose task is to cast out demons. "Third, there is a dearth of exorcists willing to engage in this particular ministry. The only true exorcists I know are Christian. There are those I would not classify as true exorcists whose employment of the word 'exorcism' is unrecognisable to a Christian exorcist. This looser application can embrace activities such as banishment rituals using ceremonial magic which efficacy I cannot vouchsafe to have practical effect. For a Christian the authority to cast out demons requires at least baptism into the Christian faith. Catholics, and some other major denominations, require priests to perform major exorcisms and only then with the permission of the diocesan bishop. "We are each limited within the constraints of our particular discipline. A Catholic priest, for example, must have permission from his bishop in order to carry out a major exorcism. Minor exorcisms in certain circumstances may be carried out by priests and laity alike without consent. Though the sacraments are not corrupted by a tainted priest, and are still valid despite the medium through which they are provided, the exorcism rite will probably not meet with much success when a corrupt person attempts the traditional formula. Indeed, it might prove extremely dangerous for someone thus tainted to attempt an exorcism. Though exorcism is not a sacrament itself, the use of the Blessed Sacrament (the Host) might be applied in certain situations. The efficacy of the Host will not be lessened by the priest's degree of corruption provided the intent of the exorcist is genuine. The bishop does not select priests for exorcism. Those who are called to the exorcism ministry already exist. If, however, they are under the jurisdiction of the Catholic Church, permission must be sought by any priest who is an exorcist to execute the major rite, but not the minor or smaller exorcism ritual. "The vampire of history is a contradiction in itself, an oxymoron, a non sequitur, or as the French would say je ne sais quoi, meaning the subject matter is indefinable; it cannot be described or conveyed in a manner readily understood. Today's secular mind finds no apparent reason for the vampire's existence. The exorcist, however, must remember that although the vampire is supernatural and originates from the ranks of fallen angels, it is simultaneously a physical entity which is capable of death and destruction. It is this unearthly combination of the corporeal and the demonic which instils such dread where the vampire is concerned. The term 'undead' is certainly applicable, but what does that mean? If the vampire is sentient then why use 'undead'? What a curious word to describe a revenant. Yet we know these vampires are not living people, but neither are they God's true dead. The Devil's undead is perhaps a term more apt than we might at first imagine. Certainly no other description can come as close to conveying the meaning of this phenomenon. Perhaps the vampire's ingestion of blood into the living cadaver is similar to the manner by which the vampire bat is able to ingest blood and obtain nourishment from it? No doubt there is some level of nourishment to be obtained from blood, but most people if they ingest more than a mouthful will vomit. There are proteins and iron to be found in blood and perhaps that is what nourishes the physical aspect and enables the wraith to remain as a corporeal manifestation? The biological aspects of vampirism notwithstanding, how does one explain the immediate and rapid deterioration of the corpse once exorcism has taken place? It will fall apart and decay as do other corpses, from a few days to many years according to its true age, once the stake has impaled the undead heart. It collapses into a pile of dusty bones where centuries have elapsed. As I attempted to explain in interviews with the American broadcasters Art Bell and George Noory a few years back, it would seem that time catches up with the vampiric wraith at the moment of its destruction. It returns into what it always was and ought to have been. Impaling the heart is sufficient in and of itself to end the pollutions of the vampire, more so if cremation follows, but the real danger with these undead is that they are totally evil and, of course, biocidal. They should not be compared with vampire bats who take a few drops and move on. Vampires are evil and a potential threat to human life. They are a form of Antichrist and should be dealt with accordingly." 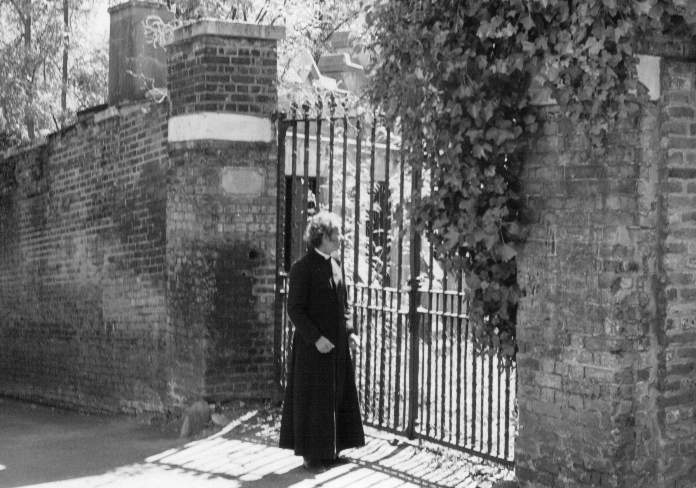 Bishop Manchester had informed the public on 27 February 1970 that demonic disturbances and manifestations in the vicinity of Highgate Cemetery were vampiric. Shortly afterwards he appeared on television on 13 March 1970 to repeat his theory. 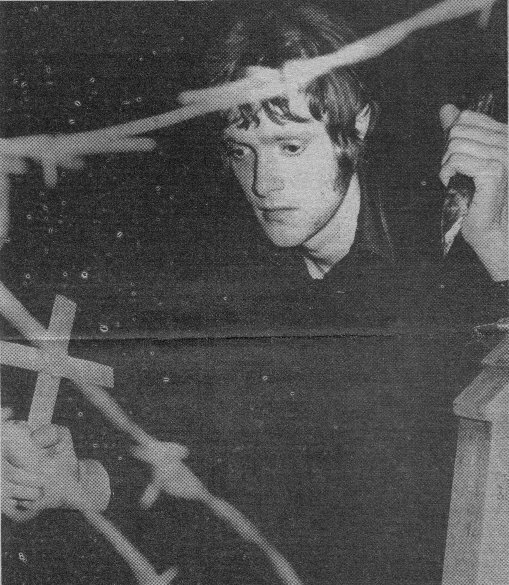 The suspected tomb was located and an exorcism performed in August 1970. This proved ineffective as the hauntings and animal deaths continued. Indeed, they multiplied. With his colleagues he pursued the principal source of the contagion at Highgate until it was properly exorcised in the only manner known to be effective; an earlier spoken Latin rite having failed. It was a nightmare journey which took them into a nether region inhabited by terrifying corporeal manifestations. 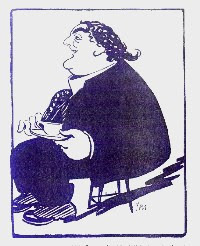 "The story of the Highgate Vampire [in a recently published book about London's folklore] is attributed to 1970 reports in the Ham & High, where I was then the editor. It recalled the fantastic events of a few months that year and the following one, which culminated in a TV programme inviting people to decide for themselves what was going on. That resulted in three hundred people, allegedly armed with home-made stakes and Christian crosses, storming the cemetery that night to kill the demon vampire lurking among the decaying tombs." The mass vampire hunt at Highgate Cemetery on 13 March 1970, following reports in local and national newspapers, plus a television interview with various witnesses earlier that evening on British television, led to a spate of amateur vampire hunters inflicting themselves on Highgate Cemetery with home-made stakes, crosses, garlic, holy water, but very little knowledge about how to deal with the suspected undead if they encountered it. Bishop Manchester had made an appeal on the Today programme at 6.00pm to request the public not to get involved, nor put into jeopardy the investigation already in progress. Not everyone heeded his words. Over the following months a wide variety of independent vampire hunters descended on the graveyard — only to be frightened off by its eerie atmosphere and what they believed might have been the supernatural entity. Some were quickly arrested by police patrolling the area. The public were advised that a full-scale investigation was taking place. Individual efforts by those merely seeking thrills, however, served only to endanger all concerned and frustrate the official hunt. Police searching the cemetery arrested the amateur vampire hunter five months later. He was found to be in possession of a wooden stake and a crucifix. Charged with being in an enclosed area for an unlawful purpose, he was later released because, in the strict sense of the wording, Highgate Cemetery is not an enclosed area. The lone intruder had made his television debut five months earlier, employing on that occasion the name on his birth certificate. Now he adopted a pseudonym which appeared in many (but not all) of the newspaper reports covering his arrest and court appearance. When the American vampire aficionado Donald F Glut came to write his book True Vampires of History (1971) he referred only to "Allan Farrow who was arrested for trespassing in a London Graveyard." Others also employed the "Farrow" nomenclature until it became clear this was not his real name. Ironically, the genuine surname of the lone would-be vampire hunter of 1970 is not too far removed from "Farrow" and is, therefore, remarkably similar. "Allan" is not close to his real forename. Even so, forty years ago, he was known locally by the name "Allan." There exists a letter on headed prison notepaper from "Mr Farrow," prisoner number 087665, which he sent to Bishop Seán Manchester. The letter contradicts later claims made by "Mr Farrow" whose lone antics heralded worse days ahead for him. It should have ended at that point. Several people had either been cautioned or arrested in the area when discovered to be engaged in freelance vampire hunting. Nothing more was heard of them once they retreated into their former obscurity, but some persisted. "Mr Farrow" belonged to the latter category. Had he heeded the public warning given by Bishop Manchester on Thames Television's Today programme, and also in the Hampstead & Highgate Express, 13 March 1970, he could have probably avoided many of the problems that would blight the rest of his life, including a severe prison sentence and multifarious criminal convictions. 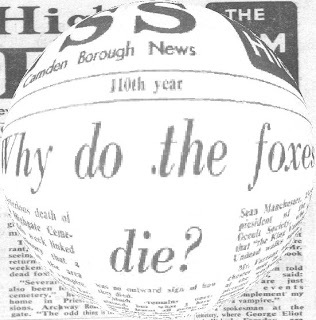 The Hampstead & Highgate Express, 13 March 1970, under the headline "The Ghost Goes On TV," reported: "Cameras from Thames Television visited Highgate Cemetery this week to film a programme ... One of those who faced the cameras was Mr David Farrant, of Priestwood Mansions, Archway Road. ... 'It was tall and very dark grey. But it didn't appear to have any feet. It just glided along.' He intends to visit the cemetery again, armed with a wooden stake and a crucifix, with the aim of exorcising the spirit. He also believes that Highgate is 'rife with black magic.' ... Mr Manchester is opposed to Mr Farrant's plans. 'He goes against our explicit wish for his own safety,' he said. ‘We feel he does not possess sufficient knowledge to exorcise successfully something as powerful as a vampire, and may well fall victim as a result. We issue a similar warning to anyone with likewise intentions'." 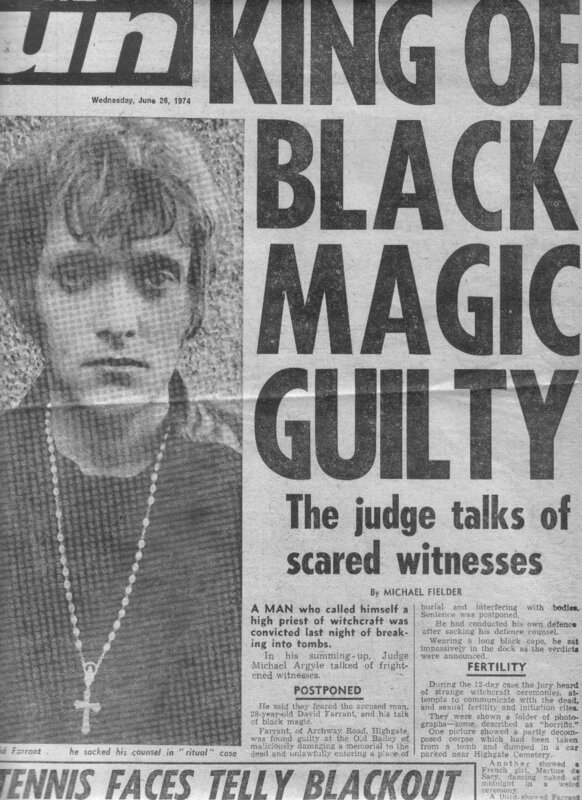 David Farrant's arrest in Highgate Cemetery on 17 August 1970 by police searching for black magic devotees was the beginning of the end for him. What the police discovered was a would-be amateur vampire hunter stalking the graveyard with a crudely fashioned wooden stake and a cross. 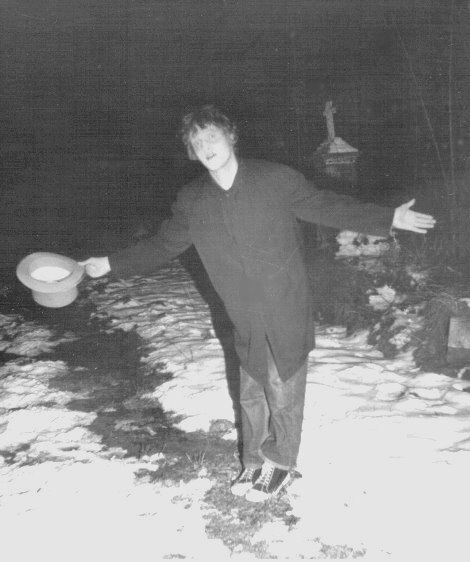 By the end of the year he had abandoned his predilection for hunting the Devil’s undead and adopted what ostensibly appeared to be the trappings of black magic; entering the graveyard again in 1971 to raise the vampire by conducting what to all intents and purposes was a necromantic occult ritual with a naked female in a mausoleum. Photographs discovered by police who raided his flat led to a long trial at the Old Bailey and a prison sentence of almost five years, which included such crimes as tomb vandalism and offering indignities to remains of the dead, as well as making black magic threats to witnesses who had received from Mr Farrant voodoo effigies impaled with pins.